Is the all-around repair solution. 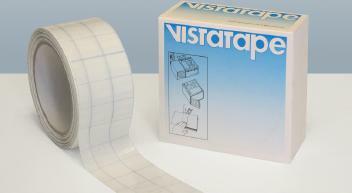 Vistatape® is the easy and economical way to reinforce spines and hinges. It's also invaluable for many other book care tasks. The tough, low-tack adhesive doesn't pick the surface or stick to itself, making the tape easy to handle. Vistatape® can be repositioned up to 2-4 hours after application. 25m per roll.